It's been a long time and I've got 6 months worth of news to cover. First off, I finally placed in a Gnomon contest, i'm pretty phased about it. 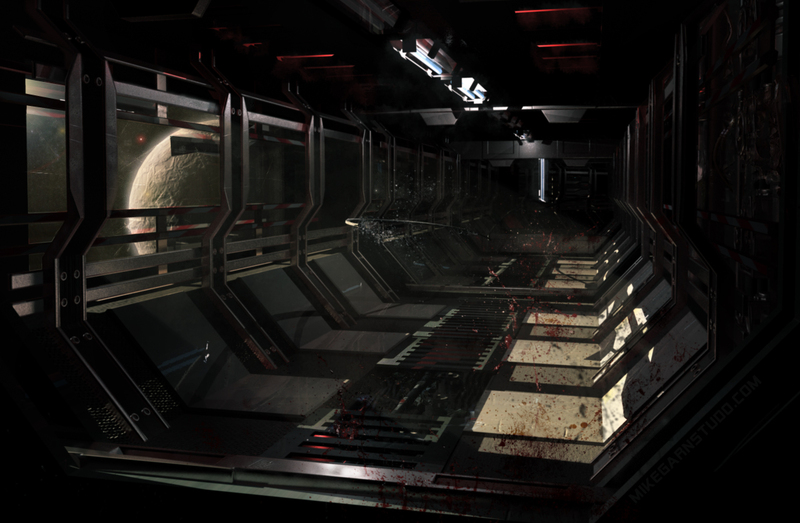 I got forth place with the piece depicting a SciFi corridor looking out into space. For the prize I won 5 DVD tutorials made by professionals already in the field. I spent a few hours really choosing efficiently which DVDs I needed. Also for the record I did just beat Dead Space 2, so there was a lot of inspiration derived from that, shape and concept-wise for the image. 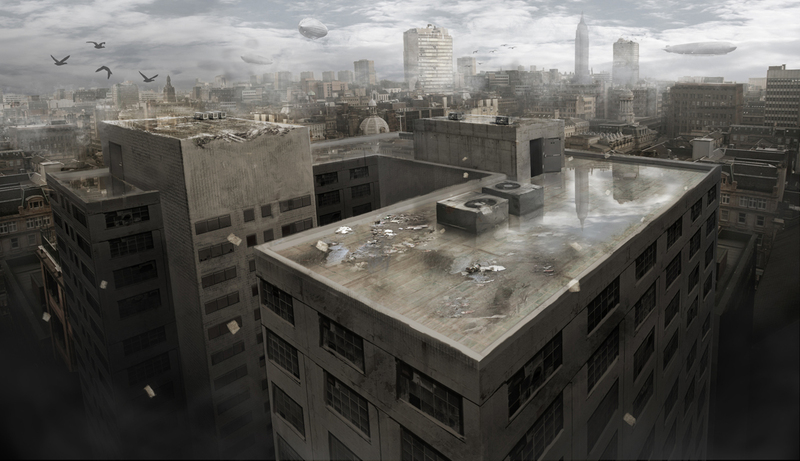 Also, I've been diving deep into matte painting, and really loving it (that's the last two images). 4th place Gnomon Award for "SciFi Hallway"
I officially own the domain MikeGarnStudio.com I just need to get a new ISP then finish building a fitting site for it. Yeah I really need to get on that. In other news, I don't know what I'm going to do fall semester. I need to be in school doing something no matter what, it's a habit now, but I realize that at this point I'm mostly waisting time that should be spent on learning software. I've yet to find a place that teaches 3D here in Phoenix in a manor more efficient than me just learning of Lynda.com or from one of the many tutorials online. I hear SCC has a good film program, but I'll be forced to take prerequisites that are often dragged out for an unnecessary whole semester. I really need to go to a school that teaches visual effects. Meh. After looking over the last posts on here it pleases me to see good progress. Everything's going great and I'm staying focused on my goals. It's a matter of time and pressure. Sweet pics Garn. It's nice to see I'm not the only one still going into graphic arts. Did you ever think of going to the Art Institute? I hear they have a good 3D program. I can't wait to see more of your stuff. Dude Ryan, it's been a long time! Yeah I'm still working on developing my visual effects skills. I have heard of the Art Institute, but haven't looked into it much. I've been wanting to go to the Gnomon school because the teachers there have very prestigious credibility, and if they like me and my work could probably get me in the door of a good movie studio. This would all probably take place with in the next two years seeing that I need to save money, and get better at drawing.